Despite more money available for legal aid, lawyers say landlords are stepping up tactics to oust tenants from rent-stabilized apartments. MANHATTAN — When Sarah Burns received a lease renewal from the landlord of her West Harlem apartment last year, she noticed something strange about the document: her name wasn't on it. Despite having been on the lease for the rent-stabilized apartment for 8 years, the new lease was made out to her ex-boyfriend, who had moved out months before — something her landlord knew, according to the 32-year-old Burns. "I contacted them and said, ‘You know I live here too, my name is on the lease,’" she recounted. "I didn't really get any response back from them." Shortly after, the management company stopped cashing Burns' rent checks, and sent her a non-payment notice a few months later. She believes it was a ploy to get her out of her unit. Such tactics are not unusual among predatory landlords who own rent-regulated units, advocates said. And while the de Blasio administration has increased funding for free legal services for tenants, lawyers working with low-income New Yorkers say that isn't solving the problem, citing the arsenal of strategies landlords can use to evict rent-stabilized tenants since they can increase rents up to 20 percent — without making any renovations — when units are vacant. Burns ended up going to housing court to dispute her landlord's claim that she'd failed to pay rent. The landlord eventually conceded, and she continued to live in the rent-stabilized apartment. "As far as I can tell, they just really enjoy wasting people's time," Burns said. But evictions are draining an already over-taxed housing court system, advocates say. Yale Fox, a TED Fellow focused on income inequality and housing rights, estimated there are roughly 206,000 evictions per year in the city, based on open source data. ► Landlords stop accepting rent and then take the tenant to court. As in Burns’ case, it’s not uncommon for landlords to stop accepting rent payments and then wait a few months to take a tenant to court for non-payment, advocates said. “The judge will order them to pay, and most landlords have this idea that tenants don't know how to save money or budget,” said Fox, founder of the rental listings site Rentlogic, which pulls open source data from various government agencies to try to make it easier for renters to see if a landlord has been behaving badly. “They bank on the fact that they spent the last few months rent,” he noted. If a case is settled and the tenant repays, the landlord might bring the tenant back to court for the same reason in the future, and when low-income tenants are forced to return again and again to court and miss work, they risk their jobs, said Ellen Davidson, of the Legal Aid Society. “Landlords hope that if tenants have to take time off from work and they make them lose time and money, the tenant will just leave,” Davidson said. Landlords, on the other hand, don’t have to appear in court since they can just send their lawyers. ► Landlords claim there’s chronic rent delinquency. When tenants frequently fall behind on rent, landlords can claim “chronic rent delinquency” and say they want to evict a tenant because they’re tired of going to court, explained Edward Josephson, director of litigation and housing at Legal Services NYC. In the past, he saw this strategy used when tenants had accrued about 15 to 20 such cases. Now he’s seeing landlords filing such cases after just one late payment. Landlords often don’t evict immediately. Rather the court puts the tenant on probation and says if there are any late payments within one year, they can be evicted, Josephson said. "Really, landlords are giving them ropes to hang themselves with. These are the type of tenants who can’t always pay on time,” he said. ► Landlords give misinformation on succession rights. Under rent stabilization laws, certain family members designated by law, who have lived in an apartment for at least two years — or one year in the case of disabled or elderly tenants — are entitled to succession rights when the lease holder passes away or leaves, lawyers said. But housing advocates have seen landlords violate this, often while tenants are grieving over the loss of a loved one. “They use complicated language and speak in a legal manner. Understandably, tenants think the landlords can call the shots,” said Aaron Carr, of Housing Rights Initiative, a nonprofit that investigates rent fraud in rent-stabilized buildings. Often when they help tenants call the landlords to complain, the landlords simply say “it was a clerical error,” Carr said. ► Landlords improperly de-regulate units. 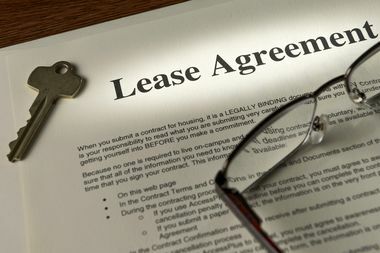 Increasingly, landlords are telling tenants that their rent-stabilized leases were given in error and that they should have a market-rate lease — even when that’s not true, Josephson said. “When the lease expires, they will bring them to court,” he said. Using preferential rent is another tactic landlords use to improperly de-regulate units, he added. Landlords can lease rent-stabilized units for less money than the maximum amount allowed under state regulations, often in order to compete in the neighborhood's rental market — as long as they note on the first lease they are using preferential rent. “When the lease expires, the landlords say, ‘We don’t feel like giving the preferential rent anymore’ and will raise it to the legal rent, but it turns out, often the preferential rent is the legal rent,” Josephson said. And since it can be more difficult for tenants to dispute rent overcharges after 4 years because of a statute of limitations, landlords often wait after 4 years to raise the the rent, Josephson pointed out. That’s why it’s important for tenants to get their rent histories, Carr advised. ► Landlords abuse construction practices. Sometimes landlords will refuse to do repair work, as a way to force tenants out. Other times they may do construction in the entire building except for the rent-stabilized family’s unit, forcing them to live in a dangerous construction zone, Davidson said. And still other times, they’ll ask tenants to move into a different unit to accommodate work that needs to be done, and then a few years later, the landlord will say that the new unit is not stabilized. “Really the rent stabilization should go with you, but tenants don’t always get that in writing,” she said. There’s also a rule that allows a landlord to evict tenants if the building is being demolished. So a landlord may file for demolition evictions — but in the end, the buildings don’t always get demolished, Fox said. He’s also seen new owners send letters to tenants saying they're moving in to their unit as their primary residence, giving them 30 days to find a new place. ► Landlords crack down on pets. If a building has a no-pet policy, but a tenant has kept a pet in their apartment “openly" for at least three months, the pet is allowed to stay, under state law, unless it is a nuisance. Yet, there have been recent cases, like one in East Williamsburg, where landlords begin cracking down on pets. “I’ll get tenants saying the landlord is trying to evict them because they have a dog and had it for years,” Carr said.